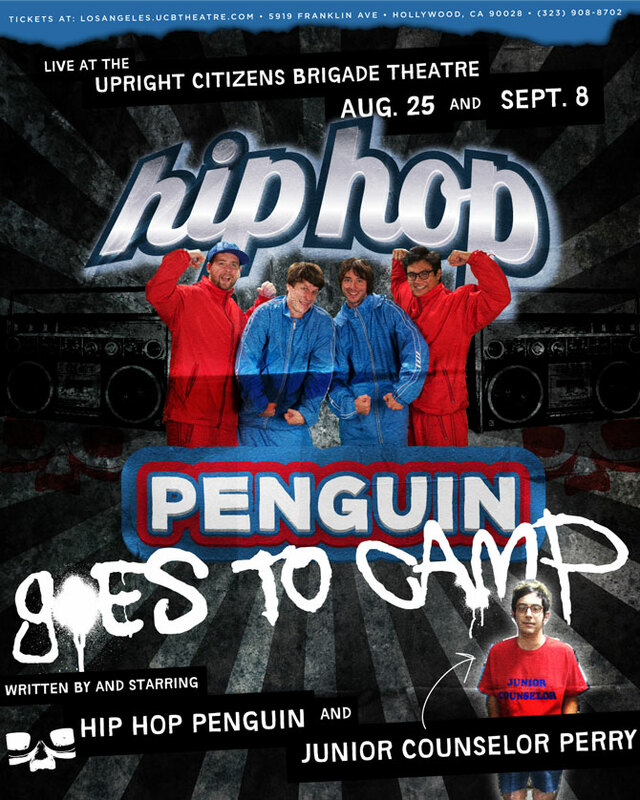 Poster for Hip Hop Penguin’s series of sketch shows at the Upright Citizens Brigade in Hollywood. Hip Hop Penguin parodies both the world of hip hop and the afternoon specials that try to exploit it. Our poster follows suit.